If you work with a chainsaw, or have even been around when on is in use, then you know exactly how loud they can be. Even when idling they put out quite a bit of noise, and when engaged, can actually create a painful situation if you are in close proximity to the tool. 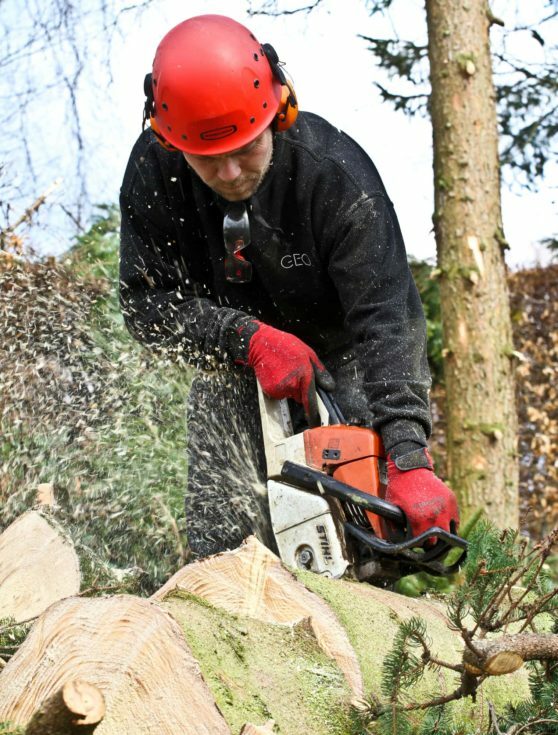 Obviously, you should be protecting your hearing when using a chainsaw, as well as having an awareness of your proximity to other people to help avoid causing any problems with chainsaw noise. This article examines how and why this is an uncomfortable sound, and what, exactly, we can do about it. What is Considered a Tolerable, Safe Sound Level? What is Creating Chainsaw Noise? Hearing is an amazingly simple process to describe through an incredibly complex situation that allow us to hear sound at all. Our ear is made up of our outer ear (what we can see), middle ear, and inner ear which is connected to an auditory nerve that connects to the brain to allow us to process the sounds we hear. Sound funnels into our outer ear to reach the middle ear and vibrate the eardrum. Behind the eardrum are the ossicles, or small bones, which react to the vibrations and allow them to travel to the inner ear. The inner ear holds the cochlea which are covered in specialized hair cells that turn the vibrations into nerve impulses. These impulses travel along the auditory nerve to the brain which allows us to process what it is we are hearing. 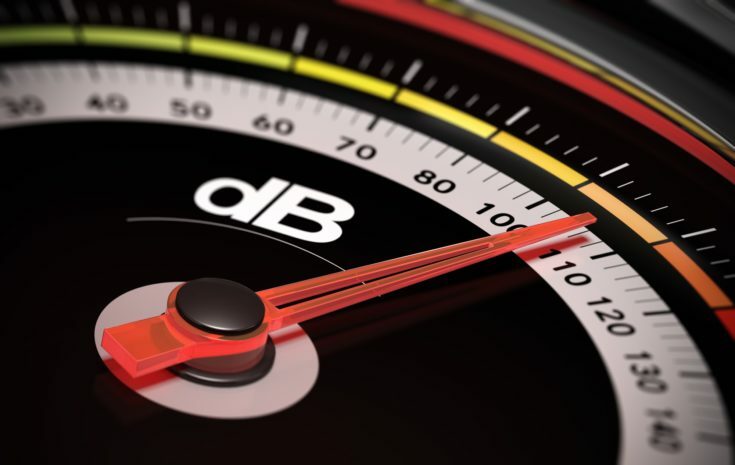 Noise is measured in units of sound called decibels. The measurement of decibels helps determine thresholds of noise that is considered safe in relation to how long you are exposed to it. The higher the decibel, the more damage it can do to your middle and inner ear, creating scenarios where you may not hear as clearly for temporary, or even permanent, amounts of time. A typical conversation with a person, or a classroom full of children talking fall between 60 and 70 decibels. These are inconsistent in their strength and may rise or fall slightly and do not create any sort of damaging situations. A live concert typically falls between 105 and 115, and again, is not always consistent in its strength, although protection is suggested for young children especially since this is about 16 times louder than a conversation. The threshold of pain in decibels is measured at 120 and above (although some argue it might be lower), with eardrum rupture possible at 150 decibels- and even short bursts of sounds at this level can create damaging scenarios. The 2 cycle engine of a chainsaw, combined with the spinning of the chain creates the noise caused by the saw. The stronger and larger the saw, the louder the noise created. 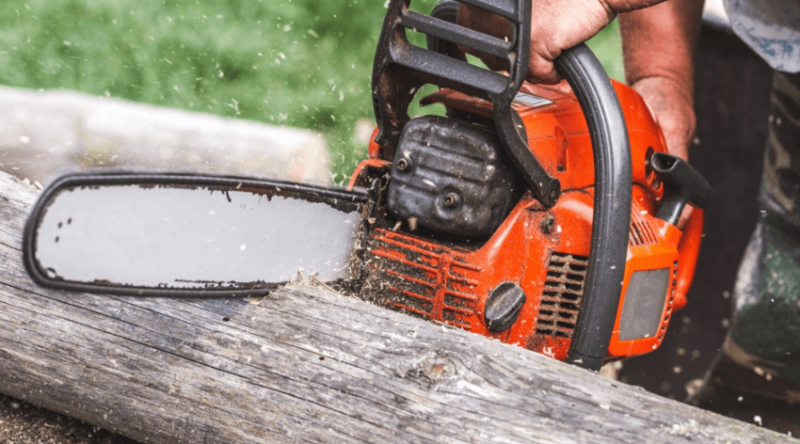 Electric chainsaws have a much lower noise output, which makes them a popular choice for homeowners who have neighbors that may not appreciate the noise either. Some saws also come with the built in ability to muffle the sound output, creating a lower noise overall. 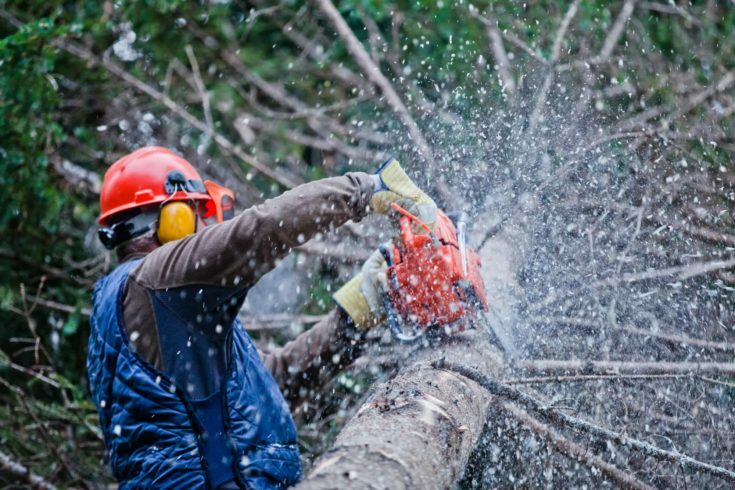 Chainsaw noise falls into the category of chainsaw safety, as they do have some pretty strong noise output that can create damaging situations. Not all chainsaws run at the same decibels, as different designs and strengths are variable in their noise output. As mentioned, electric saws are usually much lower in sound, and many other saws have built in engine muffling capabilities. These average around 106 decibels, which is a much more tolerated sound range, but still 8 times louder than a conversation. 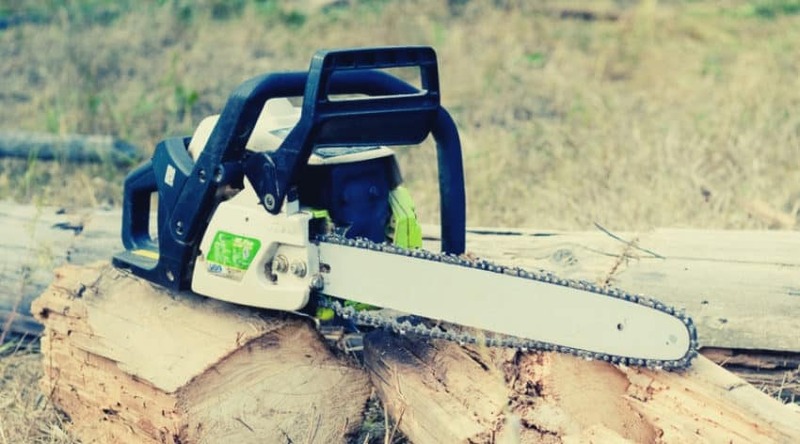 But for the most part, chainsaws run at approximately 120 decibels at their loudest, which is 32 times louder than a conversation and can cause long term hearing loss with constant exposure. This is well within the threshold of painful sound experiences, and protection should be used at all times. 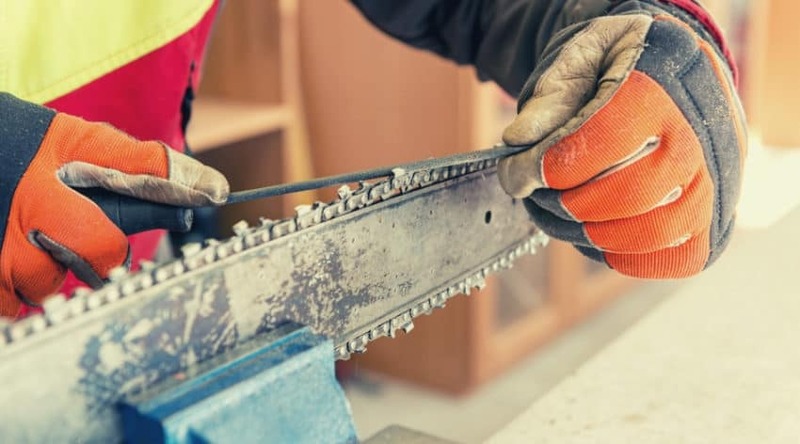 Even if it isn’t an unpleasant experience, the constant vibration of the sound upon the eardrum can cause damage with consistency, which is often how a chainsaw is used. Hearing loss doesn’t occur all at once, and is a cumulation of noises at work against our middle and inner ear over time. Usually other people notice our decline in hearing before we do when they notice you are missing bits of conversations, and getting your attention may not be so easy anymore. Since pain and discomfort may not begin until 110 to 120 decibels, we usually do not think about protecting our hearing until we are in a discomforted state. 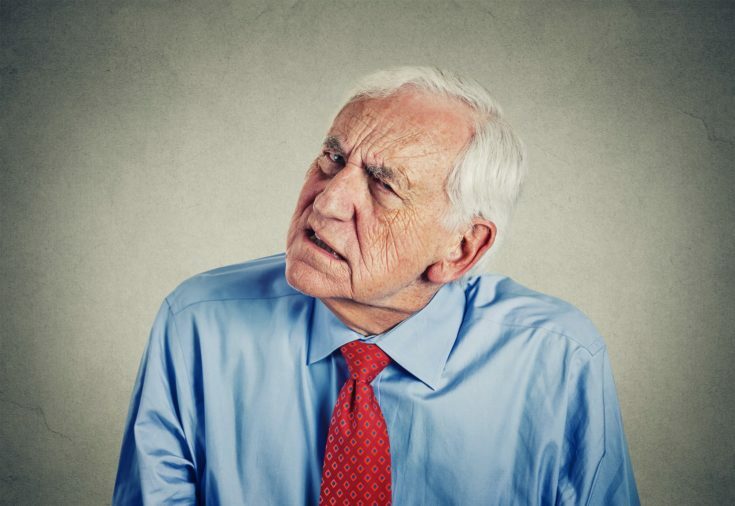 Sounds at 85 decibels and above can begin to wear on our hearing over time, however, so it is important to pay attention to the noise levels we are being exposed to. To put that into perspective, it takes an hour for 94 decibels to wear on our hearing, but only 2 minutes at 109 decibels. 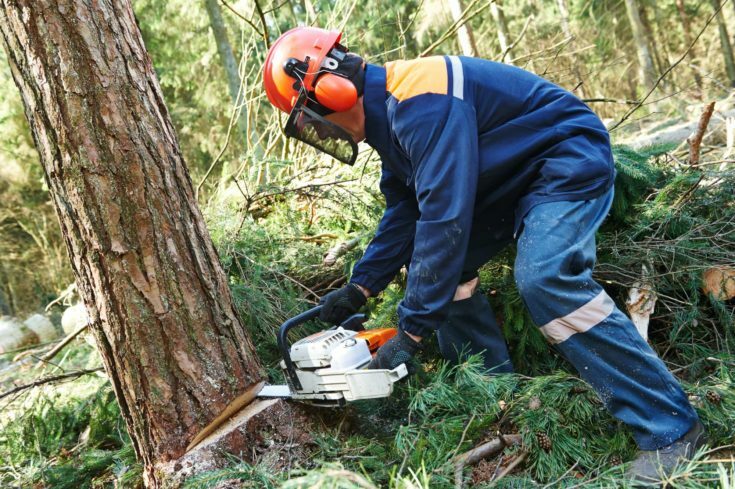 Ear protection should always be used when working with a chainsaw – even if it had noise reduction capabilities. These muffling options built into the saw are more for surrounding neighbors than for you, and your close proximity to the saw puts you at the most risk. Using those squishy ear bud like contraptions that stick in your ears are not very effective for long wear, and to protect your hearing the best, you should consider ear muffs. Wearing ear muffs can reduce your exposure significantly, and put you back into the 80 to 85 decibel range. But be aware that there is a life expectancy on the effectiveness as overtime the cushioning can begin to deteriorate. Plus, not all Ear Muffs are made equal. Ear muffs are rated based on how well they can muffle sound. You want to reduce your exposure to at least 85 decibels, and so need to take into consideration a few things- such as how long you run your saw for, and what decibels your saw it putting off. The rating applied to ear muffs are called attenuation. This is a number provided when you take the highest decibel you are being exposed to, and subtracting 85 (what you want to be hearing) from it. For example, since saws average in the 110 range, but subtracting 85 you are left with 25. This is the attenuation rating. You can purchase lower rated muffs, but take into account your exposure time to the noise. If you only work for a a few minutes at a time and only for an hour, your exposure would be much less than a sawyer putting in 6 or more hours of cut time a day. Less commonly addressed is the vibration hazards of a chainsaw. 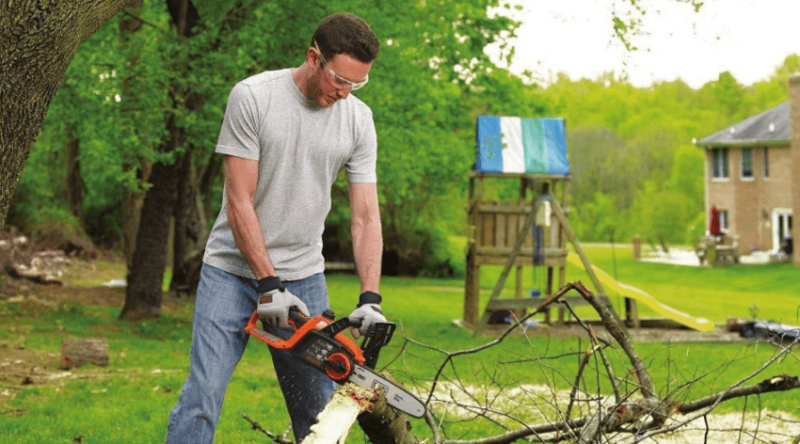 Even though most saws are well equipped with vibration redaction technologies, this does not negate the fact that your body is in a constant state of resistance when you run a chainsaw. 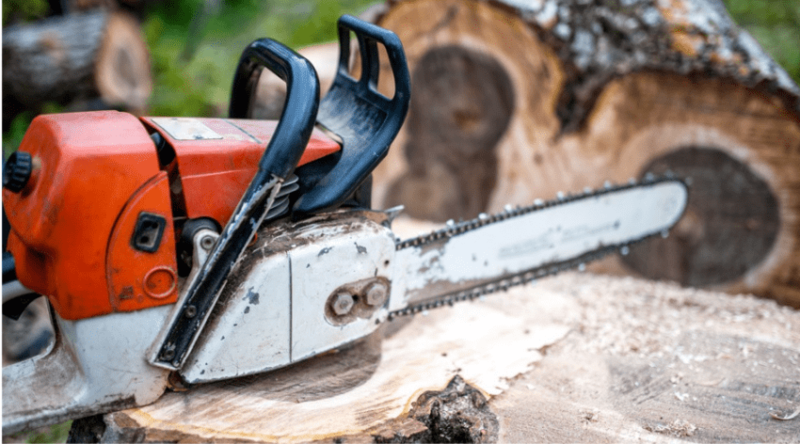 Most homeowners do not use a chainsaw on a regular basis, and when they do- it isn’t for any long lengths of time, and often have many breaks in between use even if a full days work is called for. But if you do use a saw on a regular basis, you should be aware of the risks this constant vibration can cause to your body. Although not common, you can severely compromise your health without having some awareness of this issue. Hand-arm vibration, known as HAV, is a documented occurrence due to long term exposure to hand held tools that produce consistent vibration. Damage is mainly to the hand, and creates problem with circulation due the the grip provided on the tool. Damage to the nerves, muscles, and tendons also occur, and can lead to carpal-tunnel syndrome. Unfortunately, there is no personal protective equipment that can minimize this risk. But through an understanding of this issues, and having an awareness of work time can make a large difference. 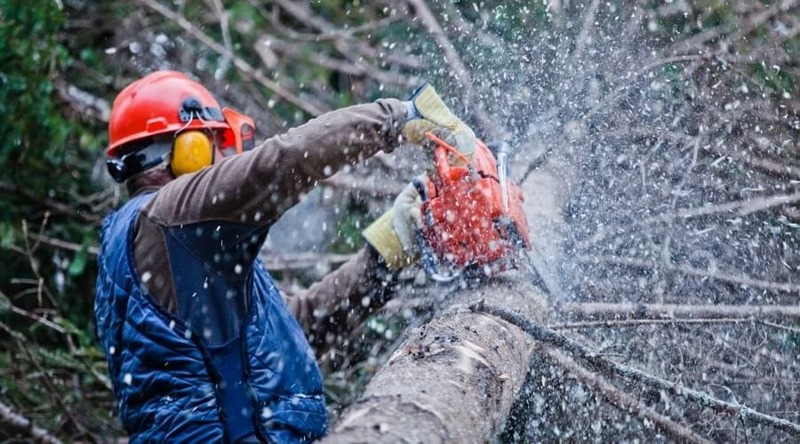 Also, chainsaws equipment with vibration reduction should be considered, as should minimizing overall exposure, taking breaks, and flexing the hand and arm during, and after, working with a chainsaw. Chainsaw noise cannot be helped. If you are running one, the best you can do is be aware of who it might be bothering, and make sure to use it during the day, and be considerate of anyone within hearing distance. The effect on you, however, transcends the annoying, and can wreak havoc with your hearing over time. 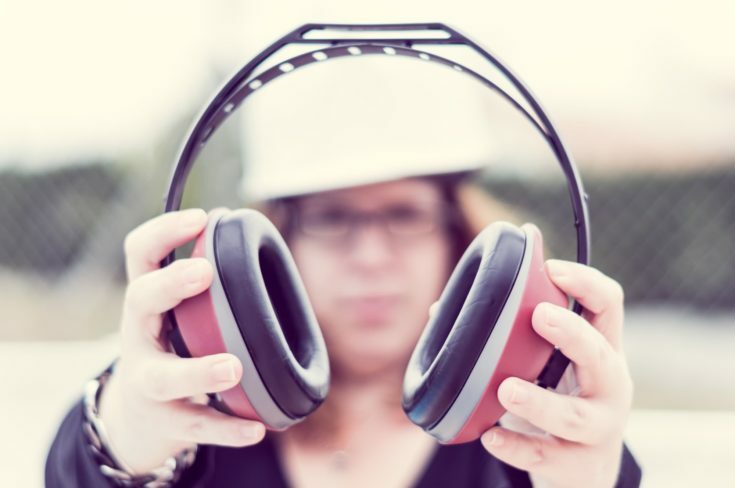 Because of this, it is important to wear proper hearing protection and pay close attention to your work time and how it might be affecting you. Ear muffs are the most effective protection, and should be purchased with maximum protection for the work you do in mind. If you have any questions or comments, or need more information, please let us know below. And, as always, please share!